Ongoing UPLB Study – How to Take Care of the Source of Our Water, Food and Recreation (Baroro Watershed, La Union) | FEED, Inc. The study is currently being conducted in the Baroro Watershed, in La Union. The watershed was selected due to partnership with the local government units, communities and other concerned stakeholders have already been forged that would facilitate the implementation of this community-based adaptation project. Furthermore, monitoring stations have already been installed in the watershed through the previous projects, and data from these are expected to aid in the development of watershed management protocols. The Baroro River Watershed is located in the northeastern part of the province of La Union, covering the municipalities of San Gabriel, Bagulin, San Juan, San Fernande, Bacnotan and Santol (Figure 1). It has a total area of 19,063.07 hectares. The watershed is a main water source for both irrigation and domestic purposes in all the covered municipalities except for Bagulin and Santol. Agricultural areas, production forest and protection forest constitute the land uses in the watershed. Agriculture is also the main source of livelihood in the watershed. Figure 1. Location map of Baroro Watershed in La Union. The development of watershed management protocols for the study sites would follow a participatory and demand-driven approach. A Project orientation and seminar on importance of watersheds, holistic management and concept of climate change was done during the early stages of year 1. Additionally, stakeholder and institutional analysis to determine the capacity to carry out adaptation responses, as well as assessment of their perception on how the watershed should be used was conducted through focus group discussion, key informant interview and questionnaire administration. Participatory scenario development is a process that involves the participation of stakeholders to explore the future in a creative and policy-relevant way (PROVIA 2013). As a starting point, this would need as an input climate change scenarios to determine changes in climate variables such as temperature and precipitation. This particular study would use the Representative Concentration Pathway (RCPs) developed by PAGASA, which the agency has confirmed to be available up to the municipal level, albeit only for the statistical downscaling. Nevertheless, if dynamic downscaling would be deemed necessary, the project team has already established a partnership with CLIMSystem based in New Zealand, which could be commissioned to develop the needed climate scenarios specifically for the watershed using RCPs 4.5 and 8.5, for instance. With available information on natural hazards (specifically the changes in the climate system), community scenario writing or visioning of environmental futures (particularly in relation to important ecosystem services provided by the watershed) was performed. Workshop on the development of watershed management protocols based on climate change scenarios and potential impacts – for general watershed management. A module will be developed for the step-by-step development of watershed management protocols based on the results of the activities above. The workshop would involve all the stakeholders invited during the project orientation. Dialogues would also be conducted with the LGUs, DENR and other concerned stakeholders to ensure that the watershed management protocols are also mainstreamed in their development plans. Development of community-based adaptation strategies (with global significance) consistent with the watershed management protocols. The development of community-based adaptation strategies would follow the general adaptation learning cycle as shown in Figure 2, and shall be carried out with support from the LGU and the DENR to ensure institutional recognition. The identification of adaptation needs would rely on the watershed assessment done in the previous activities, while the identification of the adaptation options would be based on the watershed management protocols. Appraising adaptation options might require tools such as multi-criteria, cost-effective, or cost-benefit analysis to determine the best options. Figure 2. The adaptation learning cycle (PROVIA 2013). Development and Field Testing of a monitoring and evaluation system for the watershed management protocols and community-based adaptation. To facilitate community-based adaptation and to disseminate the results of the project to technical/popular audience, knowledge products will be developed as brochures, radio plugs, training modules, among others. 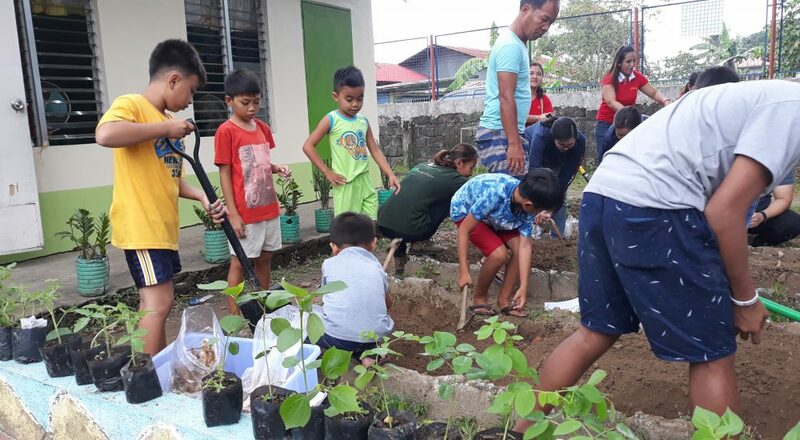 Promoting community-based adaptation to climate change among local communities in the Philippines towards promoting food security. Enhancing community resilience through participatory watershed management: Development of watershed management protocols towards effective land use and land-use planning. One relevant approach being pursued in the efforts to protect and conserve biodiversity is resource management on the watershed scale. The watershed perspective is integral to the environmental protection and conservation agenda because of the scope of its biogeographic area and the value of the interconnected ecological services that such areas provide. A watershed covers the entire area of land wherein all water (the runoff from rainfall and stormwater) drains into a common point, such as a stream, river, lake, or sea. So by definition, save for the very peaks of mountains or highland ridges, everything and everyone belongs within a watershed. It therefore makes sense that the protection of the integrity and quality of each watershed should be considered of utmost importance. Watersheds collect rainfall and disperse the runoff to support life in all forms in the habitats that are found within them. These may be the lush vegetation in forests, the fauna that make homes out of these forest areas, and even the aquatic animals and microorganisms that belong in the narrowest of streams all the way to much larger lakes or seas toward which the collected water funnels into. Of course, human populations also derive critical benefits from these physical and ecological functions. The water may be redirected to irrigate farmlands or be accessed through more modern urban waterworks for consumption and various other forms of utilization. People also consume farm crops, forest products, and animal products that depend on ecological support from watersheds. In addition, means for recreation and direct appreciation of natural resources are supported by healthy watersheds. Unfortunately, it is also human influence that bears the most harmful impacts on watershed systems. Aggressive and unsustainable mining and logging practices in mountainous regions in the past have adversely reduced and degraded these areas’ forest plant cover (and this continues to this day, albeit to a lesser extent), which has weakened soil stability and permeability, leading to erosion and increased water turbidity. Because the quality of water in the higher regions is already affected, the low-lying ecological communities and systems will also be subject to its effects. The establishment of urban infrastructures such as roads and buildings also bear heavily upon natural watershed functions. Because the concrete and steel materials used for these infrastructures are far less permeable than soil, the flow and drainage of water increases in both amount and velocity, which also causes soil to erode and water to become murky. Needless to say, soil erosion and increased water turbidity is harmful to the natural ecosystems that depend on natural watershed runoff. Runoff water that goes through less of the natural filtration and distribution process facilitated by plants, and oftentimes also carrying more pollutants through human activity (oil, sediments, and metals, for example), tend to be more difficult for water-dwelling life forms to process and survive with. Considering the interconnected nature of ecological processes, the degradation of these ecosystems and the decline of living populations within will likely eventually contribute to the scarcity of resources on which human communities also depend. In addition to the above impacts, the rate at which people draw from and utilize natural water supplies on the surface as well as groundwater is also cause for concern, as available water – while seemingly abundant at face value – is also a limited resource. Resource management on the scale of watersheds makes sense as a strategy for land use planning and biodiversity conservation efforts because it views available resources, human benefits and impacts, and long-term sustainability in the big picture. This integrated perspective, in the context of existing environmental legislation, can help address issues of inadequate geographic coverage and representation of declared protected areas – which has been a highly criticized shortcoming of the NIPAS Act of 1992. Therefore, this is the approach being taken by the Department of Environment and Natural Resources (DENR), through its Forest Management Bureau (FMB). Among the priority programs of this office, prioritizing watershed resources through integrated land-use planning allows concerned stakeholders and decision-makers to assess the optimum level of benefit that can be drawn from existing watershed and forest resources (including water supply for agricultural, domestic, and industrial purposes), while keeping the sustainability and the long-term health and integrity of entire watersheds in mind. At the same time, such planning methods can also lead to the identification of forest lands which require foremost protection efforts. Department of Environment and Natural Resources-Forest Management Bureau. Undated. Prioritization/Watershed Integrated Land Use Planning. Last accessed on February 13, 2014, http://forestry.denr.gov.ph/progwatershed.htm. Briney, A. Undated. Watersheds: Overview of Watersheds and Watershed Management. Last accessed on February 13, 2014, http://geography.about.com/od/physicalgeography/a/watersheds.htm. Contact info@feed.org.ph or call/text +63 (0)917 552 4722/30 for more information about this project.